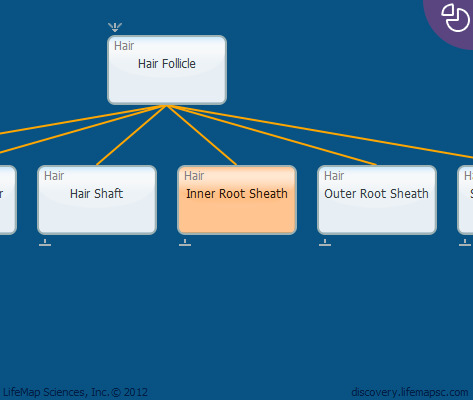 The inner root sheath (IRS) is a cornified layer enveloping the hair shaft (HS) and forms the channel for the growing hair. The IRS is formed during upward growth and differentiation of the matrix cells. IRS is comprised of three distinct cell layers: the IRS cuticle, the Huxley's layer and the Henle's layer. IRS cuticle cells attach to the HS cuticle cells beneath the skin, but separate at the skin surface to enable hair shaft elongation.